World Asthma Day is an annual event organized by the Global Initiative for Asthma which aims to increase asthma awareness, care, and support around the world. World Asthma Day falls on the first Tuesday of May. Asthma is a chronic disease of the air passages of the lungs. During an asthma attack, the air passages become swollen, making breathing difficult. 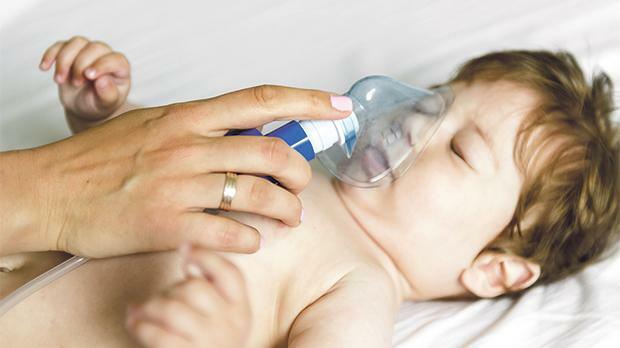 Asthma is the most common chronic disease among children. The Respira Project, a cross-border cooperative program between Italy and Malta, between 2012 and 2013, showed that 18.1 percent of 10- to 15-year-old children living in Malta reported being diagnosed with asthma at a point in time. In the Health Interview Survey of 2008, nine per cent of Maltese individuals aged 15 and over reported having asthma. The basic causes of asthma are not completely understood, but there are a number of factors that can increase the risk of a person developing it. These include: a family history of asthma or related allergic conditions; having related allergic conditions; having bronchiolitis (a common childhood lung infection) as a child; exposure to tobacco smoke as a child; the mother smoking during pregnancy; being born prematurely or with a low birth weight; or chemical irritants at the place of work. Asthma attacks often occur in response to a trigger, i.e. the exposure to particles and substances can irritate the air passages and cause allergic reactions. Some irritants include indoor allergens (e.g. house dust mites in bedding or carpets and pet dander), outdoor allergens (e.g. pollen and molds), tobacco smoke, chemical irritants and air pollution. Infections, particularly those of the upper airway, such as colds and influenza, can also trigger asthma. The best treatment for asthma is to control the disease by working closely with the family doctor, by taking medication, getting vaccinated and avoiding triggers. Tobacco smoke, smoking or breathing in other people’s smoke (second-hand or passive smoking) is one of the most common asthma triggers. Moreover, in asthmatic patients who smoke, disease control is poor. Tobacco smoke does not only trigger asthma but also harms nearly every organ of the body, causing many diseases and reducing the quality of life and life expectancy. In Malta, 520 deaths were attributed to smoking in 2013. Babies and children inhale more smoke into their lungs than adults, thus being at a greater risk from the toxins in the smoke. In turn, they are more likely to have respiratory infections and wheeze and are more likely to go on to develop asthma as they get older. To protect children from second-hand smoke, a new law came into force this year, making it illegal to smoke in private cars in the presence of children aged under 16. Smoking in cars is to be discouraged throughout. Not only does tobacco smoke affect children directly (through the inhalation of second-hand smoke) but it can also affect them indirectly. This is because tobacco smoke, which is absorbed into the upholstery and other surfaces inside a car (known as third-hand smoke), is later re-emitted, thus possibly exposing children to potential health problems. There is evidence that many pollutants accumulate in homes and traditional cleaning methods cannot remove them effectively. Although third-hand smoke has not been studied thoroughly, infants and children are more prone to it than adults. This is because they typically spend more time indoors than adults and exert certain behaviors (such as crawling, ingesting non-food items and being carried by family members who might be smokers) that may expose them more to potential health hazards from third-hand smoke. Quitting smoking is not an easy feat. However, the chances of quitting can be increased with support. Pharmacotherapy and behavioral support (counseling by a trained health professional) have been demonstrated to be effective in quitting smoking. Behavioral support commonly includes advice on strategies to plan a quit attempt, to manage nicotine cravings and withdrawal symptoms, to select pharmacotherapy and other information to help the smoker manage the stress related to smoking cessation.